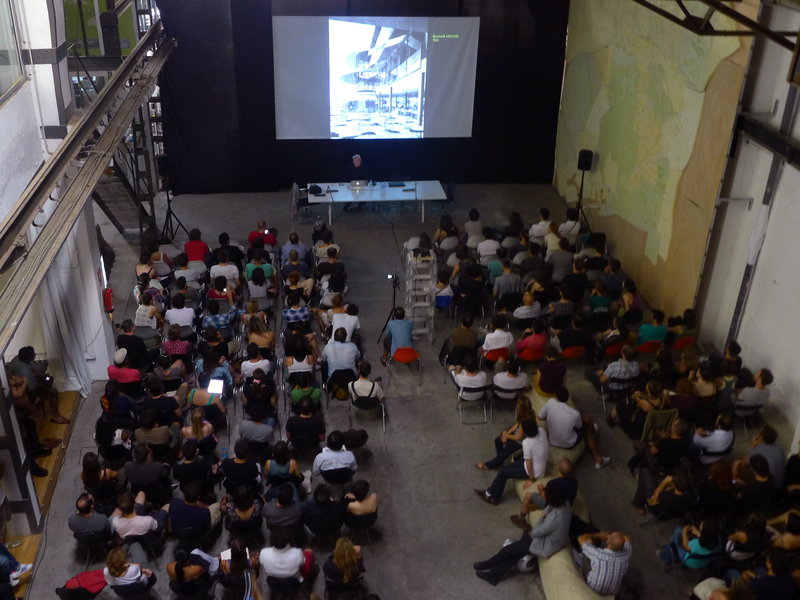 Last night, for the MAA CLOSING LECTURE, IAAC welcomed Sir Peter Cook, a part of Architectural history. One of the six revolutionist of 60′s, when Archigram created history with their futuristic architectural magazines. When Peter Cook, Greene and Webb met in 1961, the first Archigram magazine was issued. After that Peter Cook, David Greene, Mike Webb, Ron Herron, Warren Chalk and Dennis Crompton became the ¨Rock Stars¨ of Architecture. 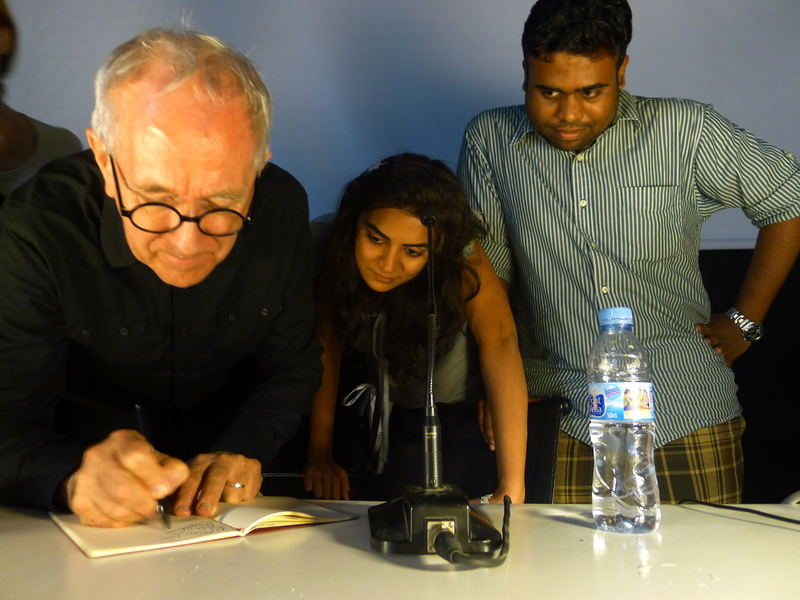 From then until now Peter Cook is a writer and educator, teaching internationally. A revolutionary architect of then and now. ¨Architecture is the business of making something out of nothing¨ he says after we traveled on the tracks of the mega-structure of a rollercoaster, the first mega-structure that he was exposed to as a child in the small town that he was raised, towards the futuristic ideas and the instincts of invention that he is driven from in his projects, as he develops them at his studio in London (Crabstudio). 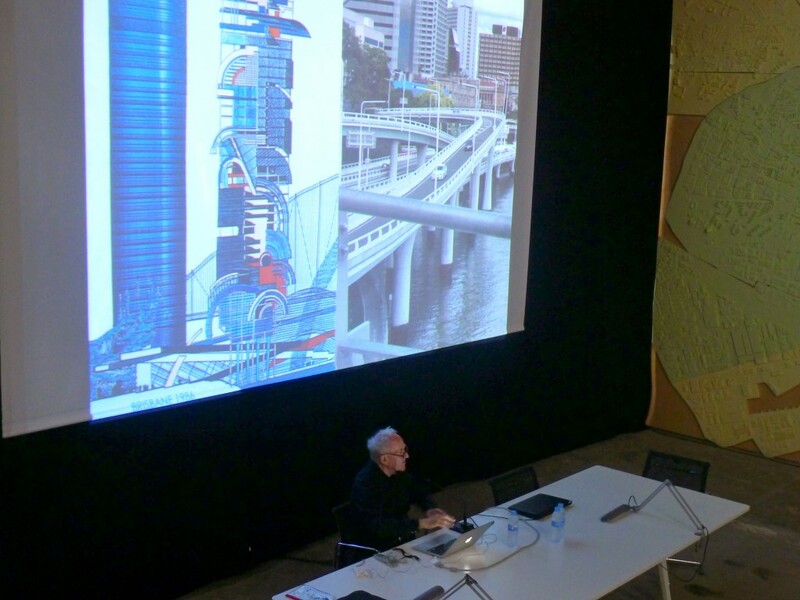 Verticality is an enthusiastic aspect in architectural design for Professor Cook and even though he shared with us that he is not comfortable in high places, but he likes to design towers. The Observation Tower: ¨ THE TOWER OF DROPLETS¨, that won the second prize in Taiwan Tower international competition in 2010, ¨, is a great example of his notion to design high raised buildings as well as it depicts his latest works. 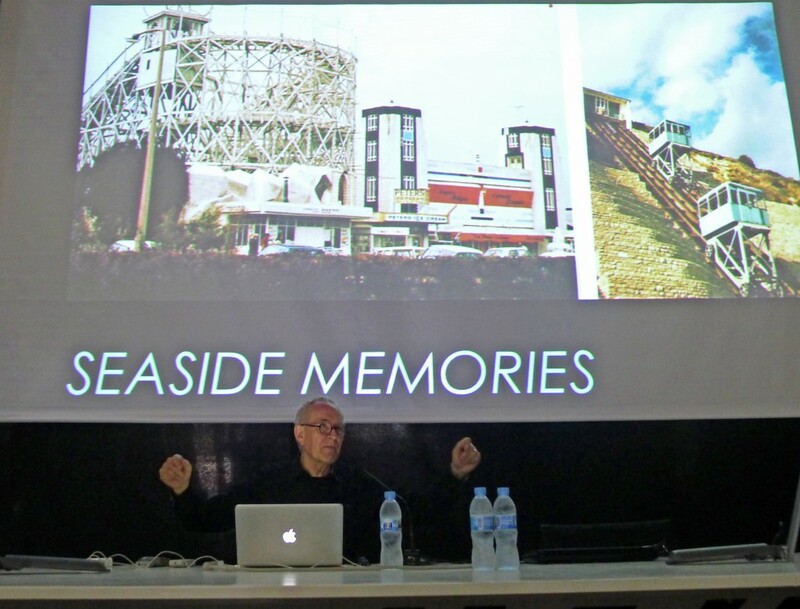 Prof. Cook shared with his audience yesterday some of his latest projects developed at his studio such as: the Bond University in Australia, the Wirtschafts University Austria or the Vallecas housing in Madrid that is currently under construction. This entry was posted in Uncategorized and tagged Lectures, Peter Cook. Bookmark the permalink. Post a comment or leave a trackback: Trackback URL.